We’re now on Indiegogo InDemand! It’s not a new crowdfunding campaign. However, Indiegogo reached out to us about a month ago and invited us to join their platform as an InDemand campaign. It’s basically what our QI Store is but they accept a lot more payment methods, allowing us to have options on future perks. We will close down the InDemand campaign at the same time as our campaign on the QI Backing Site. We figured that InDemand is a good way to make getting involved with Dead Matter more easily accessible. Indiegogo has been extremely pleasant to work with during this process. We also took it as an opportunity to make an overhauled version of our Kickstarter campaign that includes updates on stretchgoals. Check it out! We’ve also added more rewards for people that enjoy supporting the development of Dead Matter. They’re currently available on our InDemand Campaign page and on our pre-order site. We’ve aimed to keep the rewards to stuff we know we can deliver. (We’re hoping to get most of the rewards in towards the end of our Closed Alpha). Our Pet Picture reward gives you the ability to add your pet to the game. If you don’t have a pet, we also accept pictures of inanimate objects that resemble pets, including rocks. You’ll also get a blueprint that allows you to craft the picture at any time in order to show your friends (or mother). We’ve also got a reward that allows you to get your name on an in-game hockey jersey that the zombies or survivors will be found wearing in-game. You’ll be able to pick a name and a number as well as a colour scheme once the surveys for this are sent out. 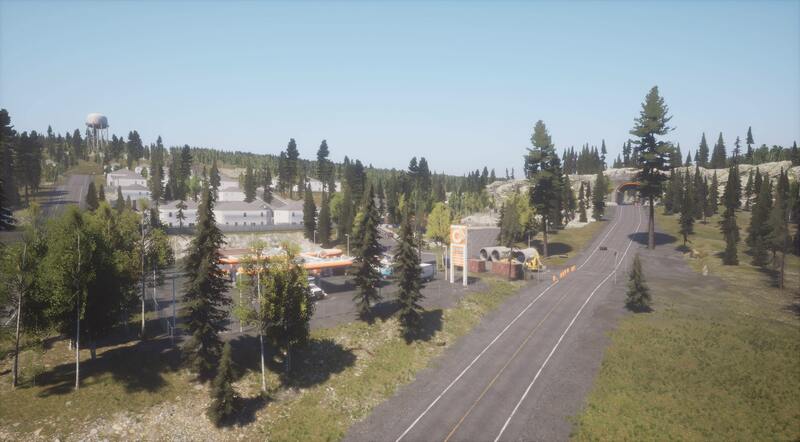 If you want to check out either of the new add-ons, you can do so here: qisoftware.ca/store we’ve also removed some packages as they came extremely close to selling out (we want to keep a few just in case). What’s better than a picture of your pet in-game? A mural of them on a wall! We’ll be announcing more details and info on how to enter on the 12th, and we’ll have multiple categories for cats, dogs and birds. Additionally, we’ll be giving Pet Pic add-ons to the runner ups that didn’t quite make it. We’ve been working on bringing our websites up to snuff, as people felt we were very silent up until our trailer released–despite our Development Blogs being posted every 2 weeks (or so). From now on, all development updates will be posted to this blog instead of our forum, which will now function as an archive. 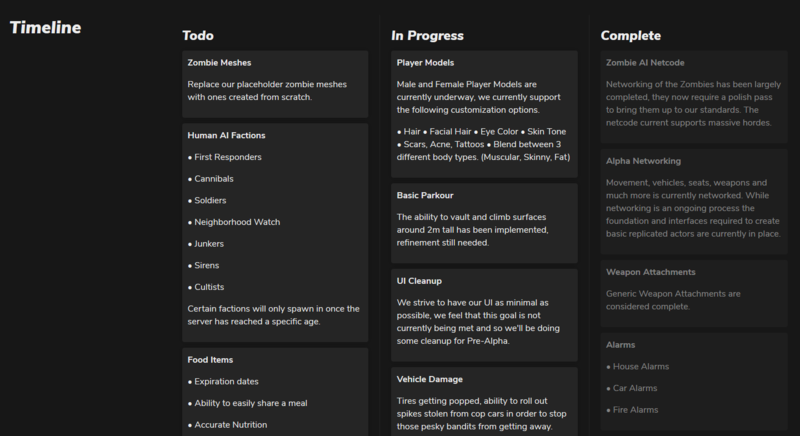 We’ve also added a roadmap and a button to easily buy Dead Matter or to feed a hungry game developer with some pizza. We’ve been hearing tons of feedback from our fans regarding the trailer. Even though there’s an incoming dev vlog, we want to show that we’ve been listening. Please note we’ll have more progress coming soon. Our acting lead artist Shirk has been hard at work on revamping the look of the shading on our weapons to ensure that Dead Matter retains its realistic look. Just a heads up the big focus behind our zombies was horde size and ensuring zombie counts can be high regardless of players on the map. Improvements are now being made to the UI systems, and we’ll be changing the UI when reloading to simply give a rough weight of the magazine with a visual representation. This is meant to be an approximation of how heavy the magazine is to your character in order to give you an idea of how much ammo is in the magazine. We’ll also be bringing more Zombie AI improvements to the table, including showing off large hordes in the future. Some people brought up that our trailer took place during the fall, so we’re just going to use that as an opportunity to show off the season cycle a little bit. Please note that all of this is still subject to change and we’re also missing a few key details that we feel complete the scene. (Distance Geometry and Clouds.) We’re also in the middle of tweaking the lighting in order to make the colors pop a little more. Since Dead Matter takes place in Canada, winter is coming, and it will be merciless.